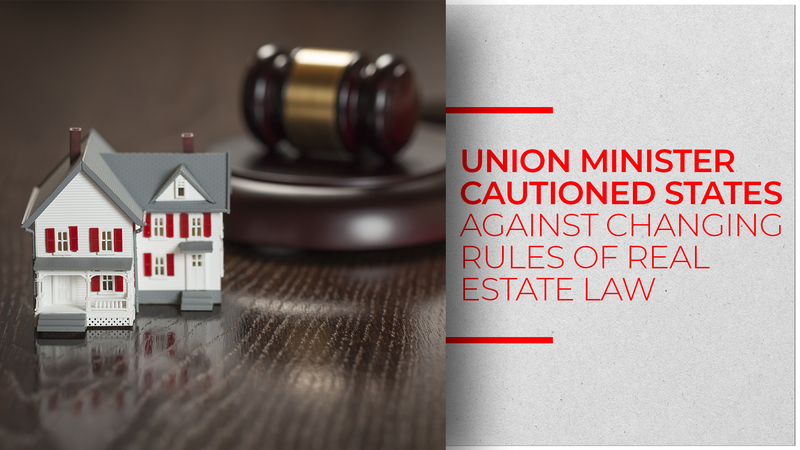 With a rise in several Indian states watering down the strict rules of Real Estate Regulatory Act (RERA), finally, the central government has decided to address the issue once and for all. On November 15, Union minister Hardeep Singh Puri did not mince any words when he sent out a clear warning to all the states who had or are in the process of tweaking RERA to benefit builders. He even went on to state that those caught indulging in changing RERA provisions will face harsh consequences. According to Hardeep, only when the Real Estate Regulatory Act is left untouched and undiluted will it be of any help to home buyers. Its complete benefits would never be experienced by consumers if the act was not practiced as it was originally formulated. Hardeep spoke at length about the issue at a workshop on the real estate law, organized by his ministry amid growing demands from builders to change rules. Back in 2017, RERA came into existence to fully safeguard the investments of home buyers against any kind of fraud and ensure transparency in transactions. Once the act was enacted by Parliament, all Indian states were given powers to notify their respective rules and appoint regulatory authorities to see to it that it came into practical implementation. As of November 2018, 33,750 real estate projects have registered under RERA. Despite RERA coming into existence, there has not been a respite for many homebuyers as builders are failing to live up to their deadline promises and quite a few have not yet registered their projects with RERA. The Union Minister assured the press that if need be the government would openly “name and shame” developers who do not stick to their project completion deadlines. He also promised complete support from the respective state governments to those who have been affected the most and encouraged such home buyers to stand up for what is rightfully theirs. Associations of home-buyers, builders, banks and other stakeholders attended the workshop. Hardeep specially mentioned the states of Uttar Pradesh, Haryana and Punjab and urged them to take suitable action so that RERA rules in these states were left untouched. ALSO READ: Do You Know These Top 5 Things About RERA?